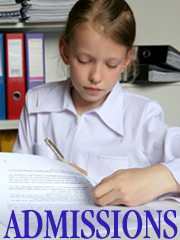 Parents are responsible for emphasizing proper uniform dress and grooming standards. 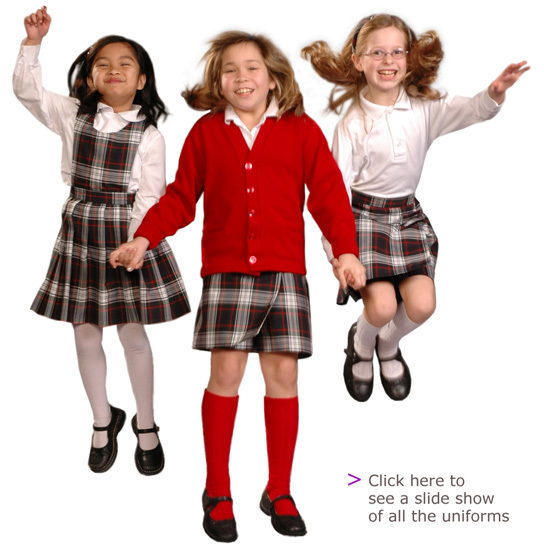 RCS uniforms are required as proper dress. If your student is out of uniform, you may be called to bring appropriate uniform clothing to the school or a Non-Conforming Notice may be sent home. All uniform clothing must be purchased at the Dennis Uniform Store or at the UNIFORM DEPARTMENT ONLY of Target, JC Penney, or Nordstrom. The RCS logo cardigan sweaters and microfiber hooded jackets can be ordered through the Dennis Uniform Store. Please feel free to donate to the Uniform Exchange any uniform pieces that your child has outgrown and is in good condition. 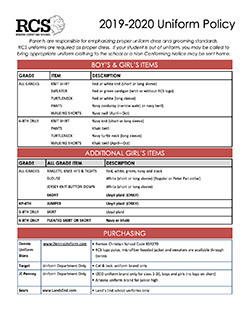 Parents are welcome to obtain, free of charge, needed uniform items from the donated clothing that is on hand.